October 31st may be over, but The Year of The Shape continues, with Mezco kicking off our “new year” on Nov. 1st by announcing a new Michael Myers figure set to join their Designer Series line, inspired by John Carpenter’s 1978 Halloween, as with this year’s already released One:12 Collective figure and the Michael Myers Living Dead Doll. 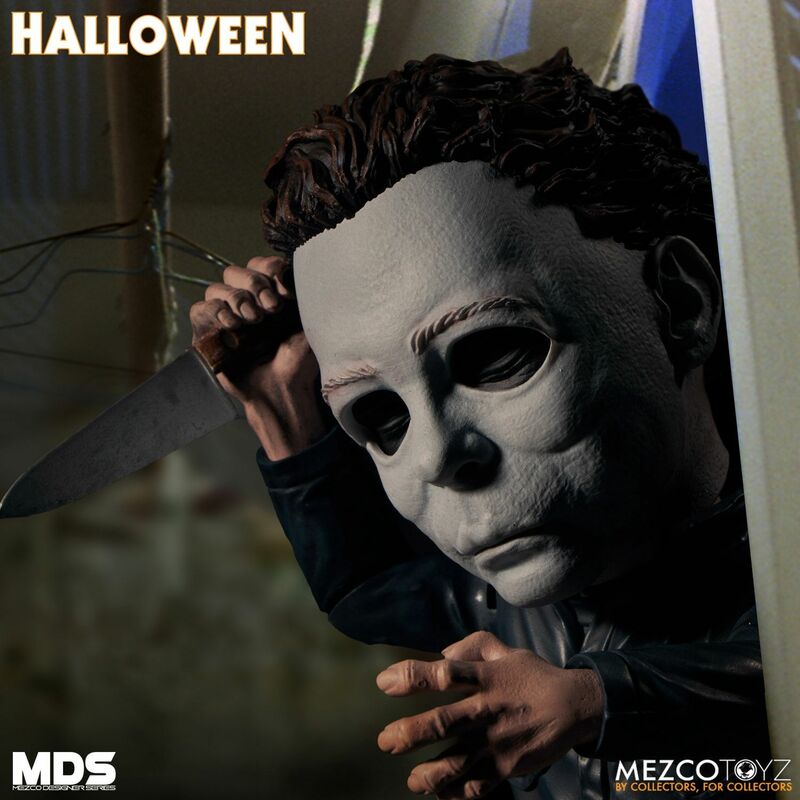 The Mezco Designer Series Michael Myers figure stands approximately 6” tall and features 10 points of articulation. He comes packaged in a collector-friendly window box, perfect for display. To be released in summer 2019, you can pre-order yours from Entertainment Earth here.